The Woz at #48DAC (part 2). 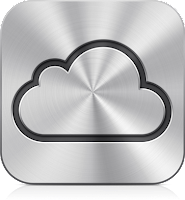 Favorite gadgets, and Apple's cloud strategy. In Part 2 of the "Up Close and Personal" chat with Steve Wozniak, from the 48th Design Automation Conference, Steve talks about what are currently some of his favorite gadgets. (See segment 1 "The Woz" - on becoming an engineer here). Also, with Apple's announcement of their iCloud strategy earlier the same day, it was interesting to hear that Steve Jobs may have had his mind on the cloud many years before this became a reality.